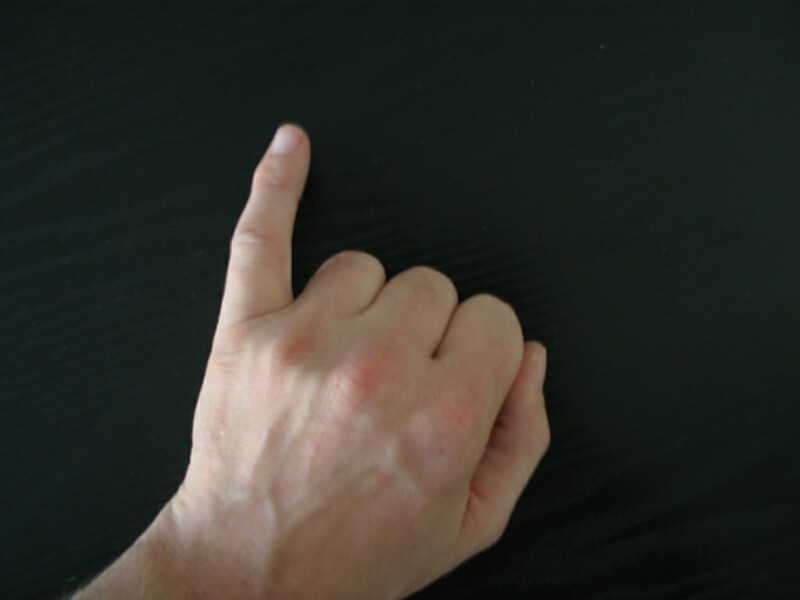 The Pinky Finger: A Measure for Sexe, Personality & Psychopathology! You probably heard about the ‘2D:4D finger ratio’ (digit ratio), which has widely been recognized as a measure for prenatal hormonal life. Over the past years quite a few studies have revealed that this ratio between the pointer finger (2D) and the ring finger (4D) represents e.g. a correlation with various aspects of human behavior. But how about the other fingers and their ratios? An introduction about the key-role of the pinky finger (5th finger). So far, out of the hundreds of finger-length-studies published so far, only a couple of those have been focussed on other fingers as well. • De Bruin et al. (2011) found that a high 3D:5D ratio (= relatively short pinky finger) may reveal a clue that correlates with psychopathology. The 3D:5D ratio in boys and in girls was positively associated with scores on Externalizing Problems. Further, in girls only, the 3D:5D ratio was positively correlated to scores on Internalizing Problems. • McFadden & Bracht (2009) found that the largest effect sizes related to sexe differences (males versus females) were demonstrated in ratios that involved the pinky finger. • Gosh (2005) found that pinky finger ratio may reveal a personality clue related to the dimensions Neuroticism & Psychoticism: a tip ending below the interphalangeal crease of the ring finger (4th finger) correlates in men & women with high scores on Neuroticism & Psychoticism. • Wolff (1951) found that both an extraordinary short pinky finger and an extraordinary long pinky finger is often seen in schizophrenia. Additionally, one should also be aware that beyond the length of the pinky finger, quite a few other dimensions of the 5th finger (incl. clinodactyly) have been associated with various types of medical- and neurological disorders – such as: autism. Which makes the pinky finger an important aspect to be considered in the perspective of Multi-Perspective Palm Reading. Do not underestimate your little finger! 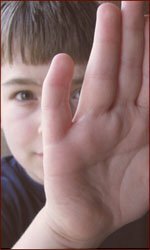 TOP 10 Hand Signs indicative for Fragile-X syndrome! A pair of hands of a female person who has Fragile-X syndrome. 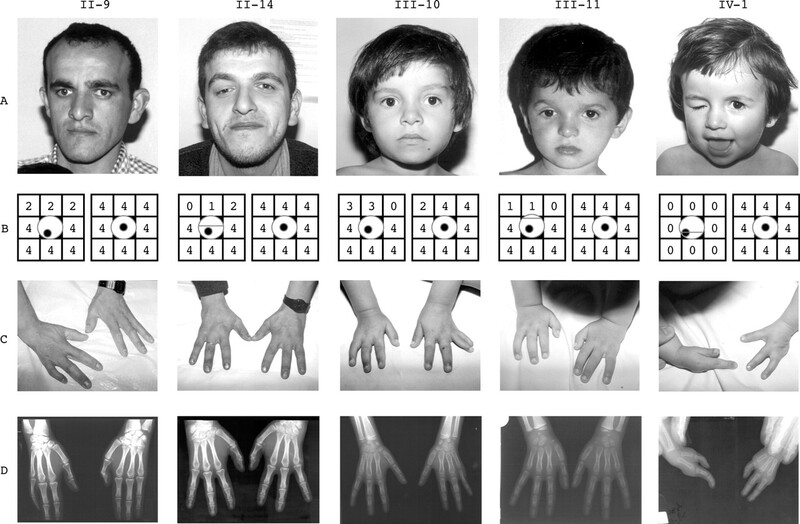 This TOP 10 is composed from a list of 34 hand signs for Fragile-X syndrome, and the hand signs are ranked by Log Odds Ratio – which are calculated from the prevalence (%) among people who have Fragile-X syndrome & controls. It is interesting to notice here that 7 of the 10 hand signs relate to the upper half of the hand (the zone below the finger + the fingerprints), and additionally the major palmar lines (head line & heart line often manifest as a simian crease or Sydney line) play a significant role. 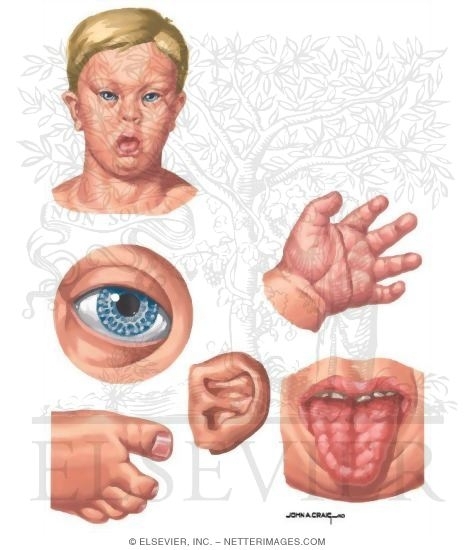 And it is fascinating to notice that these TOP 10 hand signs significant for Fragile-X syndrome is a mix of hand features that relate to both the palm (7 hand signs) and fingers (3 hand signs). And these 10 hand signs also relate to five of the seven perspectives described by Multi-Perspective Palm Reading, including: the dermatoglyphics (7 hand signs), major palmar lines (2 hand signs), and hand motorics (1 hand sign). NOTICE: At a later moment a likewise TOP 10 will be presented for hand signs that are indicative for autism – about 3% of people who have autism also have fragile-X syndrome! The Sydney Line & the Simian Crease are like ‘Fraternal Twins’! Normal palm creases - simian crease - Sydney line. Many people are fimiliar with the concept of a simian crease, but there is a likewise fascinating line that has a likewise significance: the Sydney line. In modern medical science both the simian crease & the Sydney line became known as a ‘minor physical anomaly’! In a 1967 Belgian study Vrydagh-Laoureux pointed out that next to the well-known simian crease (or ‘simian line’ – which became well-known for it’s significance in Down syndrome), there is actually another hand line variant that is associated with related to Down’s syndrome. In the Belgian study this line was described as an ‘extended proximal palmar crease’. NOTICE: In the traditional palmistry vocabulary this line is often described as: an ‘extended’ or very long head line. Interestingly, only one year later Australian researchers (Purvis-Smith & Menser, 1968) found that this fascinating palmar line is also frequently found in the hands of patients with congenital rubella – and from that point this ‘fraternal twins line’ of the simian crease has been named: the Sydney line (or sometimes named: ‘Sydney crease’). This twin-analogy could become valuable because many people often find it difficult to discriminate a simian line from a Sydney line! Example of the Sydney line presented by Purvis-Smith (1972). At the end of 20 century a new trend became appearant within the medical scientific community. Researchers began study so-called ‘minor physical anomalies‘ – which concern typically harmless inborn physical markers (that are typically associated with a specific prenatal period) – that have been associated in various disorders. And especially in the 21 century this approach became popular among researchers who are studying the etiology of e.g. autism, ADHD, Down syndrome, hypoxia & schizophrenia. Multi-Perspective Palm Reading demonstrates how the Sydney line & simian crease can be understood as a likewise hand line markers. 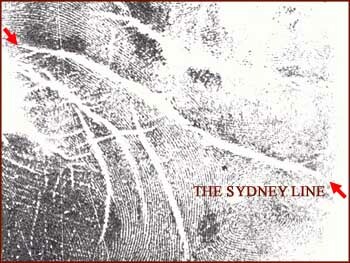 Because (so far) a wide range of studies indicates that in far most diseases & syndromes where the simian crease has been recognized as a significant body marker… the Sydney line became recognized as a likewise significant body marker. This pattern is seen e.g. in: diabetes mellitus, Down syndrome, fragile-X syndrome, rheumatoid arthritis, and schizophrenia! Finally, discussion in the Modern Hand Reading Forum have shown that – despite the fact that a Sydney line and a simian line can never be observed in one hand – for many people it quite hard to discriminate a Sydney line from a simian crease. The picture below presents a few fundamental clues which could become helpful to understand the essential components of both lines. Obviously, there is a fundamental difference between the Sydney line and simian crease – therefore it appears more appropriate to describe them as ’fraternal twin lines’ instead of ‘identical twin lines’; because while they have a common nature… their manifestion shape is definitiely not identical. 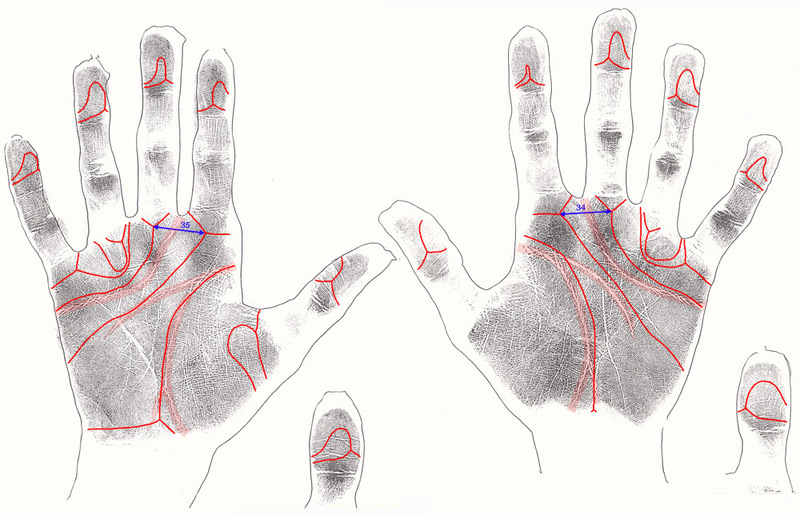 PALMAR LINES & HAND DIAGNOSTICS – An introduction! Despite the fact that the hand lines (creases) have been on the scientific anvil during the past centrury, most people still associate these mysterious wrinkles with gypsies & the stigma of fortune-telling. While the biological function of the hand lines is not understood well, various branches of academic science have adopted the hand lines as a scientific tool for exploring the genetic- & biological differences between various populations around the world… and the causes of disease! Many people assume that hand lines are only relevant to the ‘superstitious’ palmist. However, the truth is that antropologists have studied the anatomical aspects of the palmar- & plantar creases in both human- and primate populations. Paul Broca (1877) was the first to stir up interest among anthropologists in the so-called ‘simian crease’ by introducing the ethnic element in the study of creases. And even in 2nd decade of the 21th century few people appear to be aware of the racial differences in the perspective of the hand lines. 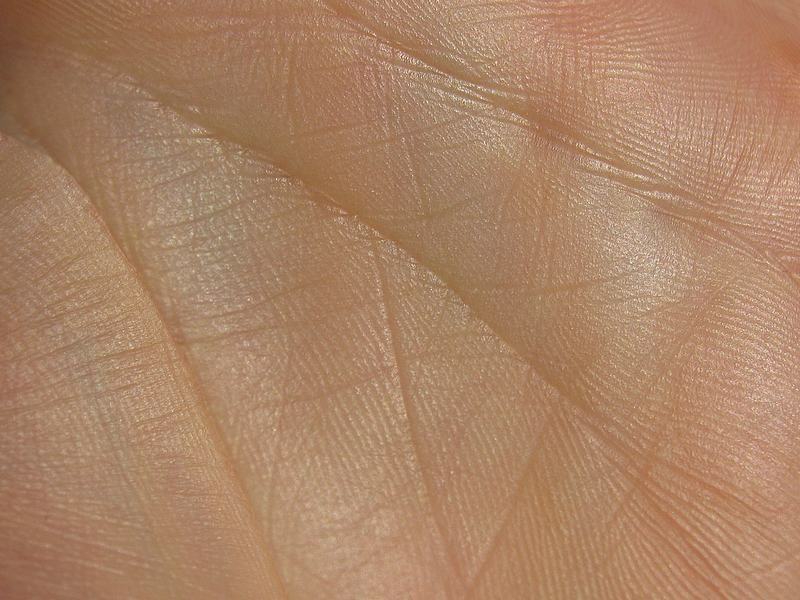 The medical significance of the hand lines became appearant after Langdon-Down (1909) described the significance of the ‘simian crease’ for Down syndrome. But his observation was valued with scepsis for quite a while, until the genetic cause of Down syndrome (trisomy 21) was recognized after the discovery of the Karyotype techniques in the 1950. Later other hand line variations – such as the ‘Sydney line’ and the ‘hockey-stick crease’ – became as well associated with other syndromes, diseases & behavior characteristics – including criminal behavior, autism, schizophrenia, etc. Hands, Minor Physical Anomalies (MPA’s) & Behavior! The relationship between hands & behavior had already been notice in the early days of the Greek philosopher Aristotle (384 BC – 322 BC) – who e.g. debated the cause-and-effect relationship in the hand’s development and the emergence of the superior human intellect. Later the Roman physician Galen (129 – 199) became known for advocating the view that physical features could reflect inner characteristics of behavior. And more later the concept of the ‘physiognomy’ suggested that deviant behavior could be predicted from certain physical characteristics of the head and hands. During the 2nd half of the 20th century a new development became manifest. The so-called ‘minor physical anomalies’ (MPA’s) became a study object for medical researchers in order to study the cause of various behavior related disorders – featured with a significant role for the most differentiated extremities of the human body: the hands & face. The current state of research indicates that the etiology of these MPA’s is usually associated with two factors: 1 – genetics (sometimes they are described as congenital physical abnormalities), and 2 – insults to the fetal neural development towards the end of the first trimester (due to: infections, lack of oxygen, diseases in the mother & other prenatal traumas). It became also appearant that MPA’s provide an important clue to specific malformation diagnosis, brain pathology and timing of pathology. In the past few decades MPA’s became associated with etiology studies for a wide range of function & behavior related disorders in newborns & school-age children, such as: autism, Down syndrome, hyperactivity, inhibition, learning disabilities, psychoneurotic behavior, schizophrenia, speach- & language problems. And especially the ‘Waldrop scale‘ (Waldrop & Halverson, 1971) became a popular tool to study the MPA’s in these populations. And various studies have indicated that the MPA’s included in the ‘Waldrop scale’ are much more often seen in certain groups of youngsters. While the average prevalence of items is usually low in controls (1.10-2,32), studies have reported much higher values in various populations, e.g. : Down syndrome (17.04%), schizophrenia (4.83%), Tourette syndrome (5.45%). And the results typically show a much higher occurence of multiple MPA’s among the patients than in the control populations. Interestingly, various items in the Waldrop scale relate to the hands, including: clinodactyly, nail hypoplasia, simian crease, single flexion crease on the 5th finger, Sydney line & unusual length of the fingers. But the studies so far have also indicated that in the Waldrop scale individual items can not serve for reliable diagnosis. And few details are available regarding the possibility that specified combinations of MPA’s (within one body part or multiple body parts) could serve as a reliable diagnostic marker. Other fascinating related reports have been made where hands become a significant specified marker when combined with other body markers. And these can even play a significant role in the explorations & identification of new syndromes. The illustration below represents an example taken from a study where the missing of fingers (oligodactyly) combined with a disorder on the right eye lid, became a marker for a (new) syndrome that relates to chromosome 21qter (associated e.g. with congenital fibrosis of the extraocular muscles – Tukel CFEOM syndrome). Though there were no behavior problems reported for that syndrome, this example does show hand markers can be recognized as clues that relate to problems in the other extremities (in this example the eyes). In ‘hand diagnostics’ the role Minor Physical Anomalies significant! Guidelines for ‘hand diagnostics’ in the DSM IV – diagnostic and statistical manual of mental disorders! DSM IV: Hand biting can signal e.g. anxiety & autism. Can the language of the hands serve as a ‘diagnostic indicator’? This question should not be answered with a simple ‘yes’ or ‘no’. First of all, most people are aware of the significance of body language. However, it is not a public secret that body language can also be misleading. Therefore it is interesting to focuss a little bit more on the role of hands in the DSM IV – the international academic system for classifying psychopathology & mental disorders. Interestingly, the book ‘DSM IV diagnostic and statistical manual of mental disorders‘ presents quite a few passage which describe how hands play a significant role in the classification of various serious mental disorders. 7 – Wringling of the hands can signal AGITATION (page 819). Needless to say, of course one should be aware that such hand behaviors should not associated in isolation of other significant clues with mental disorders! For example, if you haven’t eaten for quite a while … it might just be perfectly normal if you observe that your hands are ‘trembling’. In that situation ‘trembling hands’ will typically indicate: ‘time for a meal’! And generally, no reason at all to get woried about your social life, or to associate it with autism or anxiety. Additionally, hand-behavior experts like psychologist Susan Goldin-Meadow are generally more focussed on the question ‘why do people use hand gestures?’ instead of answering ‘what is the meaning of a specific gesture?’ Because context is usually decisive regarding the motives why people start using body language. So reading the ‘language of the hands’ may not be as easy as palm reading books may suggest. In ‘hand diagnostics’ context always matters!